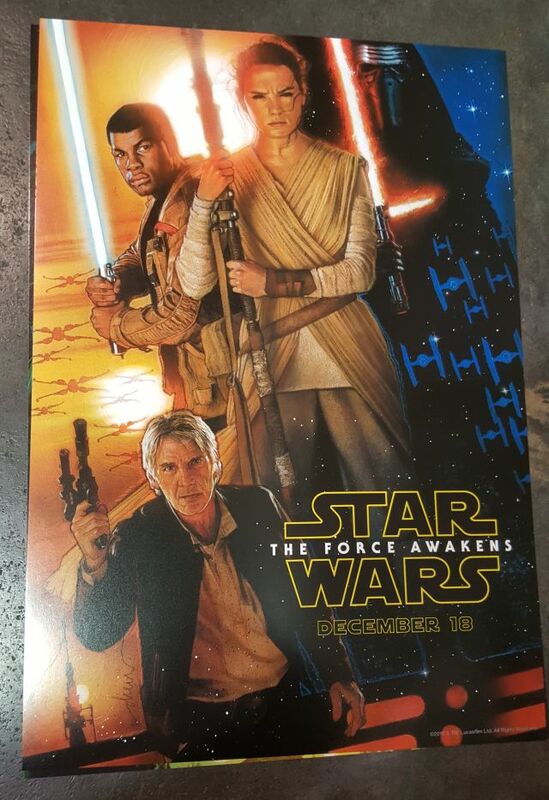 D23: Star Wars: The Force Awakens Poster by Drew Struzan Revealed! 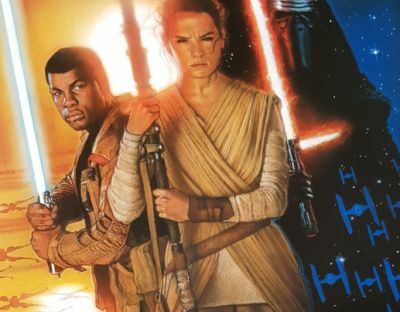 Straight from Disney’s D23 Expo comes the moment fans across the galaxy have been waiting for, an official Star Wars: The Force Awakens poster by artist Drew Struzan! Having provided legendary posters for all six films in the franchise, there was previously doubt about Struzan returning for the seventh film in the series, but you can check out his latest work (an exclusive to the convention) below! It will be followed on December 16, 2016 by Rogue One, Star Wars: Episode VIII on May 26, 2017, and the Han Solo anthology movie on May 25, 2018. No release dates have been announced for Star Wars: Episode IX and the third anthology movie.